Visit America's largest online firearms and accessories mall with this shooting package at the Las Vegas Gun Store. This is the perfect package for those who want to try almost every gun available. Shoot 12 different guns including an AK47 and an UZI. No previous shooting experience is needed. An expert instructor will provide all the protective gear then load the guns and provide guidance throughout the shooting experience. Ear and eye protection plus a souvenir t-shirt are included. Pickup is available from select Las Vegas Strip hotels. Shuttle transportation is based upon availability. Please call 702-454-1110 to book our complimentary shuttle service! As one of Las Vegas's most experienced firing ranges, be safe in the knowledge that experienced instructors are leading the way to a successful shooting session. Upon arrival at the Gun Store, check in with a hostess. Once inside the 100 percent non-toxic and lead-free range, meet the instructor and receive ammunition and protective gear. The instructor will lead the way to the recently renovated, indoor firing range. They they will load the weapon, set up the target, and explain how to use the selected gun. They will also be readily available at all times to answer any questions in regards to safety at all times. Feel free to take plenty of pictures and videos of the experience to share with friends and family. 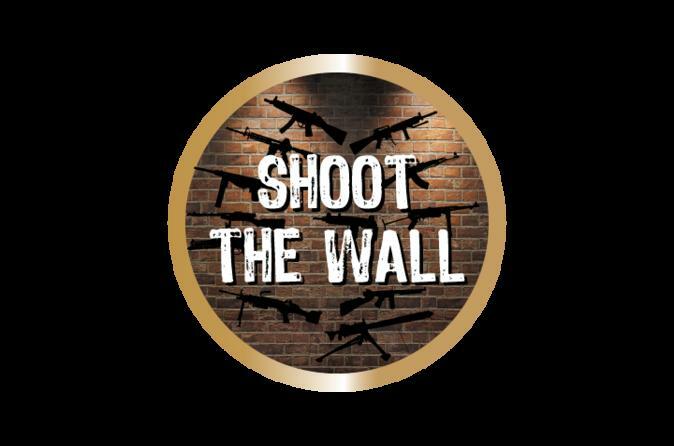 The Gun Store Shoot the Wall Package includes 25 rounds on each of the following weapons: M249 SAW, Browning M1919, M4, AK47, MP5, Thompson, MP40, Sten, MPL, Madsen, UZI, and Suomi.